Week 16: Merry Christmas to All … And to All Some Good Football! Two more weeks till the postseason. Let’s finish this season strong shall we? FALCONS @ Lions – The Falcons just shellacked the New York Football Giants 52-0. No reason to think they won’t take it to the Lions on Saturday night. The story of the night will be Calvin Johnson going for Jerry Rice’s record. He only needs 182 yards, so there’s no reason Megatron shouldn’t break the record. Unfortunately for the Lions they will be staring at a 4-11 record after an impressive 10-6 record last year. SAINTS @ Cowboys – This is a dome after all everyone. The Saints are looking to play spoiler now and are coming off a nice shutout of their own against a good Bucs offense. This is usually the time where Romo and the Cowboys typically slip-up. I would say to expect a lot of points in the “Shootout” in Big D. three way tie in the east means the pressure is on the Cowboys and Romo and it’s time for them to prove their worth, but don’t expect them to. Titans @ PACKERS – The Titans needed another ridiculous Mark Sanchez fumble and game in general to top the Jets on Monday Night Football. Chris Johnson showed the league he can still be as explosive as anyone on his touchdown run against the Jets. The Packers can seal up their division with a win here and don’t expect any less with the erratic Jake Locker leading his Titans into Lambeau. The Packers are going to lean on Ryan Grant in their running game after Alex Green went down with a concussion. COLTS @ Chiefs – Typically I don’t like to pick Andrew Luck away from home, but look at his competition. The Chiefs needed to lean heavily on Jamaal Charles each and every game but abandoned the run very quickly because their inept quarterbacks would lead them to three and outs. In addition the defense couldn’t keep them in games while being on the field the majority of the game. Look at the time of possession last week against the lowly Raiders, lopsided. Andrew Luck is taking his team into the playoffs after a magical season in which they have overcome him forcing turnovers. Bills @ DOLPHINS – A football film expert has come out and said he can’t turn off Dolphins games. Interesting, huh? Joe Philbin has taken a team of small name guys besides Reggie Bush along with a rookie quarterback to a quiet 6-8 record and could go .500 for the season. The Bills keep flip-flopping between Ryan Fitzpatrick’s position with the team, i.e. is he the quarterback for the next few years. If the Bills defense can get healthy next year and they can fix their problems from this year, they could definitely compete in the AFC. CHARGERS @ Jets – Greg McElroy is looked at as the Jets new savior. That’s a lot of pressure for a guy who had it pretty easy at Alabama with Mark Ingram, Trent Richardson and Julio Jones lined up with him and one of the best defenses college football had ever seen. Now he lines up with Shonn Greene, Bilal Powell and Jeremy Kerley, yikes. The Chargers are coming off a dud against the Panthers after upsetting the Steelers, I am picking the Chargers here against my gut on how bad the Chargers have been this season. REDSKINS @ Eagles – RGIII is back after his backup, Captain Kirk Cousins did his job and won a must-win game for the Redskins. Now they go to Philly to face the lifeless Eagles. Nick Foles played nicely against the Bucs bad secondary, but wasn’t as fortunate against the Bengals. The Redskins need this win as well, but the Eagles could play spoiler here. Bengals @ STEELERS – Big game here in Pittsburgh. Bengals have not proven they can win the must wins yet, but the Steelers thrive off of these. Todd Haley needs to open up the playbook a little against a good Bengals front seven. If the Bengals win this game in Pittsburgh it’s a dagger to the Steelers playoff hopes and the AFC Playoff picture is sealed. Rams @ BUCCANEERS – The Rams have been quietly good this year as they sit at 6-7-1. Their defense has been solid and Jeff Fisher has proven he is still a very good head coach. The Bucs have simply fallen apart in losing four straight games. Their offensive juggernaut was shut out by the leaky Saints defense last week and I wouldn’t expect the same this week, but Josh Freeman hasn’t been the same over the past few weeks. Raiders @ PANTHERS – The Raiders ate the clock last week and Darren McFadden ate up every carry he could as well. 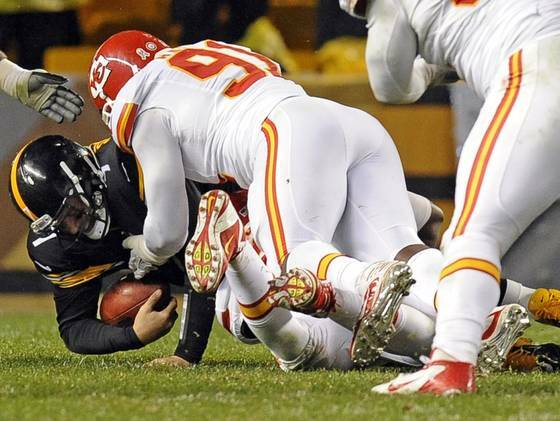 They shutout the lowly Chiefs, while surprisingly holding Jamaal Charles to a mere ten yards. They won’t be able to keep up with the red-hot Panthers who are on a roll coming in having won three of their last four games and the offense is really clicking. Good Luck stopping “Scam” Newton Oakland. PATRIOTS @ Jaguars – Haha won’t write too much here, besides the Pats are angry and Tom Brady is staring at the consecutive games with a touchdown record. Good Luck Mike Mularkey and Chad Henne in keeping up with Brady & Co.
Vikings @ TEXANS – The Texans provided themselves with a big win last week, taking the South division and nearly shoring up a bye for themselves come playoff time. Adrian Peterson needs 292 yards to break Eric Dickerson’s single season records. What a year for the guy who tore his MCL and ACL in the last week of the season last year. An absolute freak, this guy would have my vote for MVP of the league and I will surely be rooting for him to break the record. They can’t abandon the run today. GIANTS @ Ravens – The Giants need to turn that switch on that we have all been accustomed to seeing them do in the last few games. The Ravens have slipped and fallen quickly losing their last three games. Their defense is simply not the same as what it used to be and won’t get any better this week with more injuries racking up and Ray Lewis being kept inactive. The Giants are coming off a huge loss to the Falcons in Atlanta, but the Giants are one of those teams that can always overlook last week’s loss and next week’s game. There could be some scoring here. Browns @ BRONCOS – The Browns are chippy and are never really out of their losses, but the Broncos will take this one easy as Peyton keeps making his case for the MVP. He will definitely win comeback player of the year. The Broncos defense is very dangerous and one of their big free agent signings in Tracy Porter is now coming off the bench because of the emergence of Tony Carter playing alongside of Champ Bailey. BEARS @ Cardinals – This game will have too many sacks to keep track of and will be won by whichever defense plays better. The Cardinals are coming off a decimation of the Lions in Arizona. The Bears have now lost four straight games and look like a completely different team without Brian Urlacher and the one we saw at the beginning of the year. They need this win to stay on track in the playoffs. 49ers @ SEAHAWKS – The game of the week, and rightfully so NBC snatched it up in their flex schedule. I can’t pick against the ‘Hawks when they are at home. The Niners may be too happy after a very big win in Foxborough against the Patriots. Russell Wilson could be a sleeper for rookie of the year, and isn’t getting the press like Luck or Griffin, but should be considering his height limitations. Go ‘Hawks! UPSET ALERT – Today the Bears, Cowboys, 49ers and the Bengals on Upset Alert. SURVIVOR PICK – Patriots here and no questions asked. (If Picked already: Packers, Panthers, and Colts). Week 15: Who makes a Playoff Run? We have placed ourselves back into double digit victory discussion, with a 10-6 week. A lot has happened over the past week in the NFL, the former NFL Commissioner has dropped the suspensions of players related to the Saints bounty case and now Roger Goodell is talking about expanding the playoffs (of course to talk the heat off of himself for suspending players that were now exonerated for such actions.) Let’s jump into this week’s picks where now the going gets tough and the playoff contenders get going. BENGALS @ Eagles – The Eagles stunned the Buccaneers and their playoff hopes with 2 seconds left on the clock last week. The Bengals defense is better than the Buccaneers as a whole and won’t have a problem getting to rookie Nick Foles in the backfield. They must contain Bryce Brown, which seemed natural for those Bucs last week (they sport the #1 run defense, however.) Andy Dalton became the third quarterback, with Marino and Peyton Manning being the other two, to eclipse twenty touchdowns in his first two seasons. Dalton and A.J. Green have remarkable chemistry and now A.J. 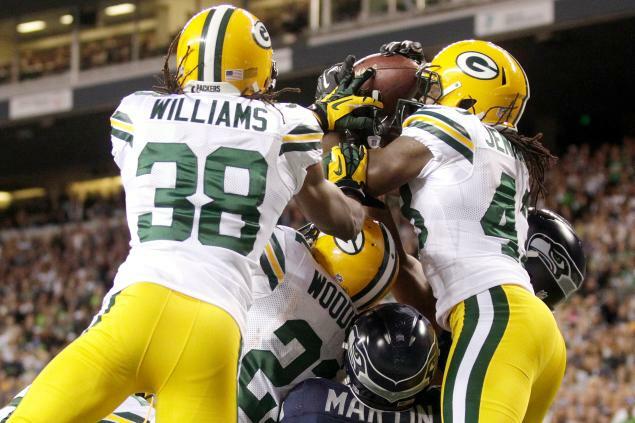 Green has to get over a sure touchdown drop last week in an upset by the Cowboys. Go Bengals here because they want and need it more. GIANTS @ Falcons – A lot to prove for both teams here. The Giants can prove they can still be the team to beat from the NFC, and the Falcons are trying to prove they have become that team. It is a rematch of the Wild Card playoff round last year in which the Giants romped the Falcons 24-2 in the Meadowlands. There will be no Ahmad Bradshaw so the rookie David Wilson will carry the load against a bad run defense. The Falcons come back to Georgia after a bad loss to Cam Newton and Cam Newton only, so they will be angry. PACKERS @ Bears – After the first matchup the Bears went on a tear and it seemed they had climbed to the top of the NFC North, but in the past five weeks they’ve looked like a completely different team. That’s what injuries and a bad offensive line will do to you. The Packers on the other hand have ascended to the top of the NFC yet again. They are getting healthy at the right time and rookie running back Alex Green is beginning to step up. The Bears need to keep Jay Cutler upright, and that is going to be tough with Clay Matthews getting ready to play. Good Luck, Jay. Redskins @ BROWNS – Kirk Cousins is going to get the start for the ‘Skins in Cleveland. Cousins has proved he can step into games and take over with his arm, not his legs like RGIII. The Redskins need him to be big, but it’s going to be tough against a suddenly good defense. Another rookie quarterback needs to step up for the ‘Skins against a rookie quarterback for the Browns. I think the Browns have been rejuvenated the past few weeks and it’s weird typing that. I take the Browns here in the upset. Vikings @ RAMS – Adrian Peterson will continue to light up the world, but Christian Ponder will continue to be lit up by the world. The Rams defense is good and underrated, but are better against the pass than the run, lucky for the Vikings robot running back. Peterson needs to average 169 yards over the final three weeks to surpass Eric Dickerson’s rushing record. While I think Adrian Peterson is the greatest back of our generation, I don’t believe he will do it, as much as I want him to. I am picking the Rams because Sam Bradford > Christian Ponder. Jaguars @ DOLPHINS – The Jaguars just called me up and asked me to play running back. I respectfully declined, of course. The Dolphins sport another underrated defense and a rookie quarterback that has shown flashes of maturity and serious potential. Chad Henne has a grasp on the starting job, but struggled mightily last week without his favorite target in Cecil Shorts. Shorts will be back this week, but I don’t think their defense is good enough to win this game. Montell Owens almost had 100 yards against the Jets last week, but the Dolphins sport a much better run defense. Dolphins based on a talent standpoint. Buccaneers @ SAINTS – Bad thing for the Saints: Buccaneers rank #1 against the rush. Good thing for the Saints: They don’t typically run the ball very much especially at home. Josh Freeman and his Bucs are coming off a shocking loss Nick Foles’ Eagles that knocked them out of the playoffs. This will be a high-scoring game if you ever see one. Brees and Freeman better be locked into all fantasy lineups this week. Brees in the Superdome trying to ruin playoff lives from here on out! BRONCOS @ Ravens – Peyton is doing what Peyton does. Just running things in the NFL week by week. Moreno has stepped up mightily since Willis McGahee went to the I.R. and the defense has been steady all year as a top 5 NFL defense. The Ravens’ record does not indicate how the good the team is, because their 9-3 record is an overestimation of this team. Their defense is not the same and they need to realize it, their offense just fired its offensive coordinator after another disappointing year, except this time they won’t give the ball to their best player as much. The Broncos are the better team and it will show in Baltimore today. Colts @ TEXANS – I have to be honest, I like those Texans letter-man jackets. I have to be honest, I can’t believe they worse those. The Texans defense was embarrassed on national television. The Patriots exploited all of their weaknesses with all the injuries they have suffered. The Colts are coming off another comeback win against a bad Titans team. Andrew Luck is still playing poorly on the road, but against this shaky secondary it’s hard to not believe in him putting up numbers today. The Texans are still the better team and will come out with full force in Reliant Stadium. SEAHAWKS @ Bills – Seattle is underrated let’s get that out of the way. “Pint-sized” quarterback Russell Wilson has led this team to becoming a contender, the biggest problem is, most of their wins come at home. The Bills excel at one thing and that’s running the ball, and the Seahawks excel both defensive aspects. The Seahawks will make the playoffs, unfortunately for them they will not host any games. The Bills just lost at home to the Rams after having the lead. The Bills front-office won’t stop talking about the status of their franchise quarterback and it’s a flip-flop every week. They should focus on their weekly opponent instead of on who their quarterback NEXT year is going to be. LIONS @ Cardinals – The Cardinals defense has to keep them in this game. Good luck! It’s the Ryan Lindley show again in ‘Zona. Let’s see how good the Lions defense looks this week against the Cardinals because typically they make everyone look like top 10 defenses. Patrick Peterson wants one on one against Megatron who is moving toward Jerry Rice’s single-season record. Imagine if the rushing and receiving record are broken in one year, but two non-playoff teams, intriguing. Panthers @ CHARGERS – This may not be as high-scoring as everyone would think. The Chargers sport a pretty good defense that was able to abuse the Steelers last week before they gave up some garbage time touchdowns. Cam Newton is on a tear right now, but I believe that won’t continue today in San Diego. 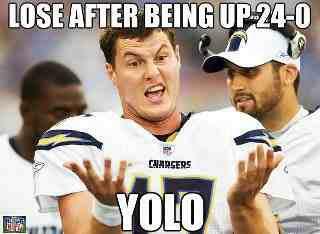 However, Philip Rivers probably won’t play well either. I think this will be pretty ugly from a bunch of underachieving teams. STEELERS @ Cowboys – Toss-up of the week here. I think the Steelers know how to win these games and the Cowboys typically lose these even at home. I don’t believe Dez will make that big of an impact. The Cowboys need this win or they can count themselves out of the playoffs, on the other hand the Steelers can put themselves out of the playoff spot with a loss. Their bigger game is next week against the Bengals, but they usually don’t look ahead. Chiefs @ RAIDERS – The “yikes” game for the week. Expect a lot of Jamaal Charles and a lot of punts. Both of these teams have been hopeless causes all year and the Chiefs were destroyed by the Browns last week, while the Raiders lost to the Broncos before the game even started. I pick the home team in this matchup. 49ers @ PATRIOTS – This is the game of the week, but the Patriots showed they are still the team to beat. They took it to the Texans and early. 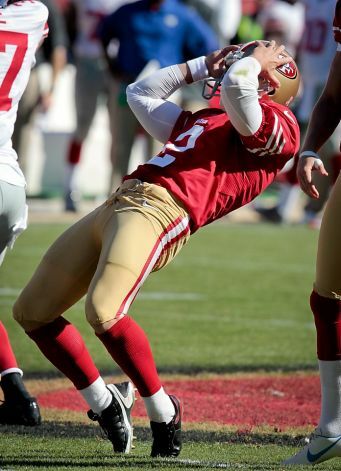 The 49ers better be ready to go as soon as the ball is kicked. Kaepernick has come down to earth recently and hasn’t had to take the games over like he did the first couple of games. The 49ers are 1st in defense and the Pats are 1st in offense, so what will give? JETS @ Titans – Easily the worst Monday Night game of the year. I pick the Jets because the Titans are bad and the Jets are better. Mark Sanchez didn’t play well again last week when the Jets inched out a win against the Jaguars without their best receiver. Jake Locker is the most erratic quarterback in the NFL. The guy looked great last week after looking like a college quarterback since coming back from his injury. Mark Sanchez cannot turn the ball over for the Jets to win, but for the Titans to win Chris Johnson has to go off and Kenny Britt cannot be dominated by Antonio Cromartie. UPSET ALERT – I am putting the Texans, the Vikings , the Falcons and the Redskins on upset alery. Week 14: Nestle Crunch Time! The double digit wins streak is gone with a 9-7 record last week. Some surprise victories did us in. This week should be better as we have come to the point of the season where no surprises happen, typically. On the year we are sitting at 132-59-1 for a 69% correctness. Let’s get into it with only four weeks left! BRONCOS @ Raiders – This will be a “snoozer”. The Broncos are missing their number one running, but gave an enormous workload to newly anointed starter in Knowshon Moreno. The Raiders’ Carson Palmer is having a good year, but most of his statistics are coming in garbage time. This should be an easy win for the rolling Broncos. Rams @ BILLS – I am picking the Bills because they are playing at home and I am certain it is cold outside. The Rams defense isn’t as solid as their run defense, and the Bills are starting to realize their best game-plan is to not force Ryan Fitzpatrick to win them the game, but rather leave it up to their run game. The Rams think they have a shot at the playoffs, but not if Danny Amendola doesn’t play. I want to pick the Rams because they are underrated in my book and bad on the road, 1-3-1. It’s going to be cold and rainy in Buffalo, not good for a passing game. Cowboys @ BENGALS – The Cowboys just lose their starting nose tackle and now are down to their third string. Tony Romo is going to have a tough time against the Bengals front four, which will have an easy time against the Cowboys bad offensive line. The Bengals will be able to run the ball and throw the ball on a banged up and now very underachieving Bengals defense. It may be a high scoring game however and both teams need the game to stay alive in the playoff chase. Chiefs @ BROWNS – Only a few words can describe this game: “Man, I hope this isn’t televised.” The Chiefs are coming off a very emotional win, which yours truly predicted correctly. Jamaal Charles needs to go over 100 yards, because nobody should expect the same game from Brady Quinn we saw last week against a bad Panthers defense. The Browns defense is underrated and with Joe Haden guarding Dwayne Bowe, don’t expect much production out of him. The Chiefs will need to have an answer for Trent Richardson and the new #1 receiver on the Browns, Josh Gordon. Titans @ COLTS – The Titans can’t keep the ball on offense. Jake Locker was looking like he could develop into a good quarterback at the beginning of the season, but it appears that the injury has hindered him. Chris Johnson might have a field day with this Colts run defense, enough to keep them in this game. Andrew Luck will lead his team to another home victory and hopefully with his own touchdowns (for my fantasy team). No Donald Brown for the Colts, which leaves them with a very sub-par running game. BEARS @ Vikings – I know Brian Urlacher is the leader of the defense, but there are enough play-makers on that team to take over the role. Jay Cutler’s offensive line needs to play better in the face of trash-talking by both teams opposing lines. Cutler will keep abusing Brandon Marshall in the target department as long as their both still living. The Vikes will once again lean heavily on their robot running back, Adrian Peterson. 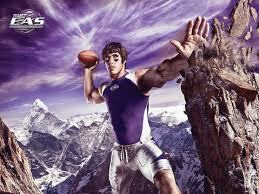 If he can take the pressure of Christian Ponder the Vikings have a chance. Chargers @ STEELERS – The coach and general manager of the Chargers have already been named soon-to-be victims of the disappointing season experience in San Diego. They were unfortunate to arrive in Pittsburgh with Big Ben returning to good health. The Steelers are more than happy to have their signal caller back healthy so that they can leave their turnover-happy woes behind them. Expect the Steelers to win this one easily. Eagles @ BUCCANEERS – Nick Foles is starting to look better and not completely incompetent in that offense. Bryce Brown is running a muck in the NFL and seems to be the hottest back besides Adrian Peterson in the NFL. They’re bigger problem now is their failing leaky defense that will get no mercy from the Bucs juggernaut offense. The Bucs need this game to stay in playoff contention because with a loss and any teams in front winning can count themselves out. Doug Martin has seen the box stacked a lot in the past few weeks. Ravens @ REDSKINS – The Ravens’ record does not show their fault, but the highlights and tapes do. They are not as solid as their 9-3 record would have you believe, but they find a way to win games. Joe Flacco is having another disappointing season, and Cam Cameron appears to not want to lean on Ray Rice every game, which worked in the past (head-scratcher as to why you wouldn’t.) RgIII played a great game Monday night, but was helped certainly by a fluke play on the first touchdown and then by the ineptness of the Giants’ offense in the fourth quarter. The Ravens won’t have an answer for him, but expect some points here. FALCONS @ Panthers – The Falcons are coming off a huge win to their “daddy”. 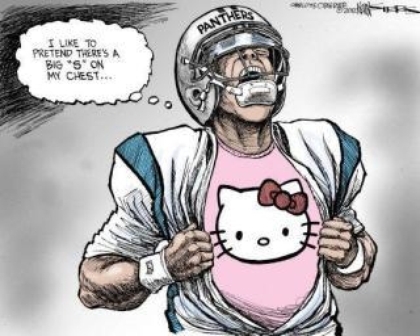 This is a typical let down game, but the Panthers just hit rock-bottom after losing to the Chiefs. Asante Samuel probably won’t play here leaving the Falcons somewhat thin in the secondary. The Panthers haven’t beaten the Falcons in three years now. Matt Ryan isn’t putting up the same numbers as he was at the beginning of the year, because teams have adjusted to the passing game plan of the Falcons. Expect some scoring here as well. JETS @ Jaguars – Another ugly won that I know will be on television in New York. The Jets turned to Greg McElroy last week, only to turn back to Mark Sanchez (which I predicated) this week, but this is a completely different defense they faced last week. The Jags are down to their fourth string running back and will be without Cecil Shorts. Cromartie will be pinned to Justin Blackmon leaving the Jags only weapon Mercedes Lewis. This will not be pretty or enjoyable unless your a Jets fan. Saints @ GIANTS – The Giants are doing exactly what we’ve come to expect. Roll through the first half of the year and then start to swoon, but win the games they need to in order to find their way into the playoffs on a hot streak. The Saints need this win to even have a chance, but it’s a very slim chance. Drew Brees does not play as well outside as he does indoors, but coming off 3+ interception days (he’s had five of them), Drew Brees has thrown 17 touchdowns and 4 interceptions (not good for the Giants’ secondary). Expect the Giants pass rush to disrupt Brees because they couldn’t get to RGIII last week and they don’t have consecutive bad games. Dolphins @ 49ERS – This 49ers defense will have their way with rookie quarterback Ryan Tannehill, especially Aldon Smith (the NFL’s sack leader) because Jake Long is now on the I.R. Colin Kaepernick is coming off a bad game against the Rams defense and almost another tie. The Dolphins are scrappy so this might be closer than one would think, but the 49ers should take this one. Cardinals @ SEAHAWKS – Has one team ever had more home-field advantage in a single season? The 12th man in Seattle is something else and it will continue this week with the lowly Cardinals coming into town. John Skelton has been re-injected into the #1 spot on the depth chary after Ryan Lindley’s awful and abysmal performance, which left many wondering why Ken Whisenhunt didn’t replace him at halftime. The Seahawks are coming off a huge win against the Chicago Bears in overtime and will look to keep a hold on the last wild card spot in the NFC. Lions @ PACKERS – The Lions are definitely the most disappointing and under-achieving team this year. Lots of talent, lots of promise but not enough of the “it” factor to put games away and keep themselves winning like last year. It’s a shame because Calvin Johnson’s possible MVP year is going to waste. Megatron is on pace to break Jerry Rice’s receiving yards record in a single season, and most likely won’t slow up even facing more double teams now that the Lions are depleted at wide receiver. The Packers are just sledding along toward the playoffs with a bunch of injuries of their own, but their guys will be healthy come playoff time. PATRIOTS @ Texans – This is a fantastic game and definitely the game of the week. Possibly the best matchup ESPN picked for Monday Night Football all year long. The Pats certainly miss Gronkowski, but Aaron Hernandez is getting healthier and Tom Brady will definitely find much more now. Their defense has been getting better and has been forcing a large amount of turnovers. The Texans are sitting at a nice 11-1 with a playoff spot locked up. Their defense is slowing up with all of their injuries and the Patriots offense will definitely exploit this. Expect a barn-burner here. UPSET ALERT – I am putting the Falcons, the Bears, and the Ravens on Upset Alert. Week 13: No Mo No Shave! Men’s favorite month and women’s least favorite month has come to an end and it’s time to get rid of those furry things on your face gentleman. The playoffs are coming in the NFL quickly and this season has definitely flown by. We come into this week after a 10-6 showing last week. Definitely not the best we’ve had, but the double digit wins won’t stop rolling in. SAINTS @ Falcons – The Saints need this game to stay alive, but the Falcons might need this game for the respect and to show that they have gotten over that divisional hump that has haunted them since Drew Brees arrived in the NFC South. The last game was a nail-biter and a eye catcher for the NFL and I don’t expect any less from this one. The Saints will win because they need it to stay alive, but I am honestly not sure about this because the Falcons play so much better at home. Jaguars @ BILLS – It’s one thing to beat a bad Titans team at home, but it’s another thing to go to freezing cold Buffalo and beat a bad Bills team. The Bills looked flat against the Colts defense and the Jaguars looked like a decent team against the lowly Titans. Chad Henne has sparked some life into Mike Mularkey’s team, but now with both of the Bills running backs healthy, there’s no reason to believe they won’t be able to handle the Jags at home. Seahawks @ BEARS – The Seahawks are a different team at home than they are away. I think they can pull the upset here because of their defense and how banged up the Bears offensive line is, but Russell Wilson cannot turn the ball over, which is nearly impossible to do against this Bears defense. However, Colin Kaepernick did it and he is mobile and elusive, just like Wilson is so who knows. Brandon Marshall has been targeted 121 times by Jay Cutler, you think they have a nice connection? Colts @ LIONS – Another team that plays completely different at home compared to away from home. Andrew Luck and the Colts are bipolar and cannot seem to find grounding away from home with a 2-3 record and a 5-1 record at home. However, Andrew Luck has been an outstanding rookie this year. On the other side of the ball the Lions have not performed up to the expectations placed upon them this year. I see the Colts away woes to continue as the Lions offensive fire power will be too much to handle and the Lions vicious defensive line will be at Andrew Luck. Vikings @ PACKERS – The Packers got rolled by the Giants at MetLife Stadium Sunday night. They might have been better off not showing up. They have key injuries on defense and some on offense, but it’s no excuse to play so poorly and they know that. They will definitely be a different team this Sunday against their division rivals from Minnesota. Adrian Peterson still had a great game even after fumbling the ball twice to the Bears. This game is always a hard-fought win for whomever comes out on top, but I fully expect the “Cheeseheads” to take a few Lambeau leaps this Sunday. TEXANS @ Titans – Some of the experts have been saying that the Texans have been walking a fine line, and they have been and that’s the reason I picked them to lose last week. However, when you are gifted a game like they were like last week I don’t see this team taking anything for granted this weekend. The Titans are also not as talented as the Detroit Lions. The Titans are coming off a bad BAD loss to the Jaguars and things can’t get worse, so why can’t they win? Panthers @ CHIEFS – Two days ago I would’ve picked the Panthers hands down with the way this Chiefs team is playing. After the sad passing of Javon Belcher I cannot pick against the emotional team here. This Chiefs team is not better than their opponent, but emotion wins in any fight. The Panthers allowed Bryce Brown and the Nick Foles led Eagles to stay in a game they should have handled with ease on Monday Night last week. I think the Chiefs will be ready to play Sunday for their “brother”. 49ERS @ Rams – Man I hope this game doesn’t end in a tie. Colin Kaepernick has been exciting to watch, but now Alex Smith has been benched for playing the way Jim Harbaugh has asked him to and because he got a concussion. Seriously? They are winning their games, not that they weren’t before. The Rams #1 option will not be playing as he is hurt again, that is Danny Amendola. This just makes the sledding that much tougher for the Rams, but I can see this being a close game again as long as Bradford keeps the ball out of the 49ers’ defense hands. PATRIOTS @ Dolphins – The Pats have blown up scoreboards the past two weeks and I have no doubt it won’t stop this week in warm Miami. The Patriots defense is forcing turnovers, which they’ve been known to do over the year and will definitely continue Sunday against rookie Ryan Tannehill. This Dolphins team has been scrappy all year long, but it’s time for the Pats to put a stake through their season. The addition of Aqib Talib has already helped the Patriots secondary. Cardinals @ JETS – I want to pick the Cardinals, but I don’t know which one of their quarterbacks is actually going to get playing time in this game. As one of my friends told me, when the Jets win, they win handily. If Ryan Lindley starts the Jets win in a blowout, but if anyone else starts it’ll be a harder win for the Jets, who have had more media attention for the past few years than any other underachieving team. Tim Tebow will not be dressed, but Greg McElroy finally will be. Why not give the Alabama champion a shot? Buccaneers @ BRONCOS – Tough loss for the Bucs against the Falcons last week. They should have won that game plain and simple, as many teams should have against the Falcons. Josh Freeman didn’t throw a touchdown pass last week, but his offense still put up a ton of yards. The Broncos are coming off a disappointing lackluster performance in Kansas City. Even though they won the game, it looked like the worst complete game for Peyton Manning this year. Knowshon Moreno has emerged as the new starter since Willis McGahee’s injury, surprising a lot of people by leaping up the depth chart. Cleveland @ RAIDERS – Two bad teams at 3-8 and I’m going with the home team. The Browns have been in every game they’ve played and just beat the Roethlisberger-less Steelers. So, this is now a let down game in a place that many teams find it tough to win, the Black Hole. The Raiders are struggling all around on defense and Carson Palmer has to force everything to try and get his team back in the game, but he has now thrown for over 3,000 yards with 18 touchdowns and 12 interceptions. Raiders here because they are at home. BENGALS @ Chargers – Andy Dalton has led this team in surprising fashion with a new high-powered offense. The Defense is coming along for these Bengals, after playing poorly in the first half of the season. Philip Rivers and Norv Turner can’t turn this season around, or finish it any sooner. If they lose this game or the Broncos win the Chargers are basically eliminated from playoff contention because one of the teams they are chasing would be the one who beats them today. Norv Turner is finished in San Diego, finally. Steelers @ RAVENS – No Ben, no win for the Steelers. The Defense has been doing anything and everything to stay in games, but when you are on the field for as long and as much as this defense is, you are bound to lose. The offense turned the ball over eight times last week and that never bodes well. Ray Rice converted a 4th and 29 last week on a check down pass, and that speaks more for the Chargers season than anything. Ravens win this one because Charlie Batch is no Ben. Eagles @ COWBOYS – On Nick Foles first drive against the Cowboys a few weeks ago, he hit Jeremy Maclin on a bomb. 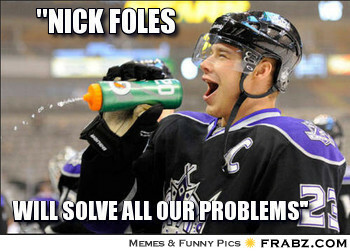 Since then it’s been forgettable for Foles. He let Bryce Brown do the work last week against the Carolina Panthers, but he will have to make some throws against a much better Cowboys defense this week. Tony Romo tried his hardest to bring the Cowboys back from dead on Thanksgiving against the Redskins. With DeMarco Murray expected back, Jason Garrett gets a capable back in his backfield. Tony Romo’s job becomes a little easier now as long as DeMarco can stay healthy. GIANTS @ Redskins – The Giants are road warriors. RG3 is a beast. This will be a good Monday Night matchup with two divisional foes who each need this win. The Redskins need it to stay alive in the playoff race because the Wild Card is closing quickly in this tough NFC, but the Giants need this win to pad their lead as their schedule becomes harder over the next three weeks with the Saints, the Falcons and the Ravens looming. The Giants looked like the Champs last week against a 38-10 thrashing of the Packers and RG3 didn’t look like a rookie against the Cowboys in Dallas on Thanksgiving. Giants in a squeaker here. UPSET ALERT – I am putting the Giants, the Panthers ,the Bears, and the Colts on Upset Alert. The Giants lost both games last year to the lowly Redskins, but their better offensively this year. The Panthers are playing a defeated team that was just struck by tragedy and it’s always to play a team with that kind of emotion. The Colts are just not the same playing away from home. The Bears offensive line is still horrendous and the Seahawks defense is still very physical. 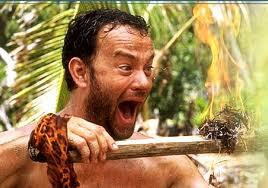 SURVIVOR PICK – Patriots (If Picked already: Texans, Cowboys and Ravens). Week 12: Turkey for Everyone! 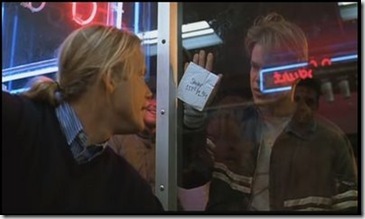 Do you like apples … I went 13-1 last week … So how do you like them apples? (Thanks, Matt Damon). The double digit wins just won’t stop coming and I’ll continue to aim for that undefeated week as we near our end here. It’s one of my favorite times of the year, Thanksgiving. Lots of food and all day long Football, its like a pre-Sunday feast. Happy Thanksgiving to all! Texans @ LIONS – The Texans are due for a let down loss. Matthew Stafford has been catching fire recently and the Lions defense is getting more banged up each week. The Texans were teetering on the edge of a letdown against the Jaguars (REALLY???) last week. Andre Johnson, Matt Schaub and Arian Foster have been lighting up of late in fantasy scoreboards. I expect a hard-fought battle but the Lions to come out on top. REDSKINS @ Cowboys – RG3 is going to have his way with the Cowboys defense. Romo and the offense are too sluggish in games this year to keep up with Griffin’s offensive swagger. Romo can’t stay upright still with a beleaguered offensive line. The Redskins defense will have to be in the backfield and the Cowboys defense will have to contain RG3’s running, but watch out for his rocket launcher. Redskins do what many can’t do and beat Romo in November. PATRIOTS @ Jets – The Pats destroyed Andrew Luck’s Colts. They suffered a huge loss in Rob Gronkowski’s forearm, and the rest of him. It won’t matter much, he definitely will be missed, but Brady will spread those targets out elsewhere. The Jets are coming off a much-needed win at St. Louis, but they will be surely outclassed on Turkey Day. Pats in a blowout. Vikings @ BEARS – I fully expect Adrian Peterson to run a muck, but with Cutler playing the Bears offense will be able to put up some points. Without Cutler, the Bears offense was barely able to move the ball with Jason Campbell behind center. Christian Ponder will be facing a lot of pressure staring down the turnover-happy Bears defense. Expect a good cold-weather rivalry game here. Raiders @ BENGALS – Marcel Reece is the bright spot for the Raiders’ offense, but that’s because it appears without Darren McFadden the offense runs through him quite literally. The Bengals looked great against the Chiefs, but who hasn’t really this year. At home, I expect Andy Dalton and AJ Green to have their way with the Raiders. STEELERS @ Browns – I know Charlie Batch is starting, but he started last year and the Steelers started 3-1. Ridiculous, I know, but I can’t pick against them while they are playing the Browns. Brandon Weeden shows signs of progression at times in games, but then looks just plain bad. The young receivers on the Browns are just that, young and still developing. Trent Richardson is banged up and you know the Steelers hit hard. Expect a low-scoring game. Bills @ COLTS – Andrew Luck has thrown 8 touchdowns to 2 interceptions in home games and 4 touchdowns to 10 interceptions away from home. Talk about home field advantage. Against a bad Bills’ defense I don’t expect this parity to change. The Bills played a good game against the Dolphins in which Fitzpatrick didn’t need to force any mistakes. CJ Spiller and Fred Jackson expect to carry heavy loads against a bad Colts run defense. Andrew Luck stays great at home. BRONCOS @ Chiefs – Brady Quinn again really? Blowout and enjoy the fantasy points everyone who has somebody on the Broncos. Kepe an eye on Ronnie Hillman. SEAHAWKS @ Dolphins- This Seahawks’ defense will pressure Ryan Tannehill into making mistakes. The warm weather will certainly be a change for Russell Wilson, but isn’t that always a welcoming change. The Dolphins defense hasn’t been as sound recently as it was the first eight or nine weeks. The Dolphins have started to lean on a timeshare, when Reggie Bush is still clearly the better back, but maybe they’re preparing for life after Reggie, who knows. Seahawks, because of their defense here, but always be wary of the West Coast team going east to play at 1. Falcons @ BUCCANEERS – The Falcons played with fire again last week and almost lost. They will do the same here and will get burned because this team actually has an offense unlike that Arizona team. The Falcons have Julio Jones hurting, but he will play through it as it appears he has gotten better through the week. The Bucs are firing on all cylinders after making a nice comeback against a bad Panthers team last week that always plays their divisional foes tough. The Bucs will win this at home in a shootout. Expect a lot of fantasy points. 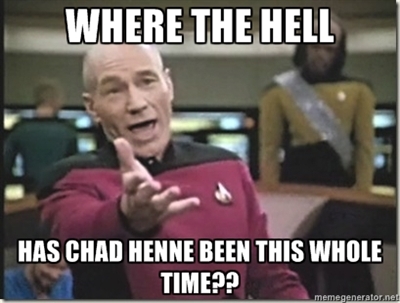 TITANS -@ Jaguars – Chad Henne went HAM last week against the Texans … some things hurt when you type and confuse you when you type them. The Titans had a week to rest and get Jake Locker back into the offensive groove because he looked awful in a blowout of the Dolphins two weeks ago. The Jags sorely miss Maurice Jones-Drew and should pay the guy. They are fighting for the #1 draft pick, but who knows if they should take a quarterback with it. Titans here easily as long as Chad Henne goes back to his normal play. RAVENS @ Chargers – The Ravens still haven’t really looked like a championship team, but they win games. Phillip Rivers has found a new play toy in the form of Danario Alexander, who always had great potential but couldn’t stay healthy. The Chargers are probably not going to compete for a playoff spot this year because they’re not consistent on either side of the ball. The Ravens need to get the ball to Ray Rice more, and I’ve been saying it all year. It will catch up with them, but not this week. 49ers @ SAINTS – The Saints are high-powered and high-flying now. The 49ers are looking at a quarterback controversy because of one good game by Colin Kaepernick; can I say Kevin Kolb and Matt Flynn anybody? I think I should be picking the 49ers, but if they can’t choose a quarterback I don’t like it. Their defense looked tremendous against the Bears, but Campbell was under center, and Drew Brees is looking for sweet revenge in Louisiana for that NFC Divisional Playoff game last year. RAMS @ Cardinals – The Rams looked awful against a bad Jets team last week and at home. Their defense did their best job, but the offense kept sputtering after starting over drives well. Expect a heavy dose of Steven Jackson and Daryl Richardson if Danny Amendola doesn’t play. These are solid defenses, but the Cardinals cannot move the ball and we will see if this changes with Beanie Wells coming back. Packers @ GIANTS – This is the toss-up of the week. The Packers come in on fire and the Giants come in off their bye and suffering their usual November swoon. However, the Giants are typically coming off their bye way before this. The Packers have more key injuries than the Giants, and that is going to matter. These two teams play great games and I expect no less. I only pick the Giants because they are at home and I think the Giants want to prove the Packers didn’t beat themselves last year. PANTHERS @ Eagles – No Vick and now no Shady McCoy. The Eagles can kiss this season goodbye. The Panthers offense can go at the Eagles and the Eagles offense cannot move the ball. I recommend spot starting any defense playing the Eagles as long as Nick Foles is starting. Sorry Andy Reid, but the buck stops here. UPSET ALERT – I have put the Seahawks because they are coming to the East coast at 1 P.M. The Falcons and 49ers are also on Upset Alert this week. The Texans may be in for a Thanksgiving Upset. SURVIVOR PICK – Patriots (If used already: Broncos, Panthers, Bengals and Panthers). Those are my two cents … Cash them in! Week 11: Shave your Season! 10-3-1 … thanks a lot Rams and 49ers. The double digit wins just won’t stop coming, and I won’t stop taking them if they’re offered. Dolphins @ BILLS – It’s cold in Buffalo. Tannehill hasn’t been somewhere this cold. Both of these offenses are turnover prone and the Bills will be without one of the heads of their two-headed monster. For some reason Joe Philbin has been chopping down on his best running back’s carries. This is a recipe for loss. The Bills will take this game in frigid Buffalo. Cardinals @ FALCONS – This Falcons team is pissed. Undefeated season gone at the hands of a despised rival, who doesn’t call themselves rivals because “they own them”. The Saints took it to the Falcons and beat them at their own game. The Cardinals are reeling and I don’t see it stopping soon, especially this week. The Falcons at home are +10 and I definitely believe they can cover. Expect some offensive fireworks for one team. Browns @ COWBOYS – Tony Romo is fire in November, we’ll talk about December in a few weeks because we know how that typically goes. The Browns keep struggling every year with mismanagement under Holmgren. The Cowboys will most likely win their games in November and start bailing their dedication for a comeback in December. PACKERS @ Lions – Old foes meet again in Ford Field. The Packers are coming off their bye, but still aren’t really getting healthy besides Jordy. However, they’ve been fine without the guys they are missing, but they haven’t really run across the offense that they’re about to see in the dome. The Lions lost a real heart-breaker to the Adrian Petersons last Sunday. Stafford will definitely be looking to light up the scoreboard against his Cheesehead adversary. BENGALS @ Chiefs – Arrowhead used to be one of the toughest places to win a game, but unless Jamaal Charles has well over 100 yards, I don’t think the stadium will have that kind of affect or magic on today’s game. The Bengals embarassed the Super Bowl Champion Giants last week at home, and I’m sure Marvin Lewis won’t let his young team get head of themselves sitting at 4-5 and now with a golden opportunity to seize a playoff spots from a Steelers team that is without their quarterback. Also, good luck to the Chiefs stopping AJ Green. Jets @ RAMS – Sorry my Jet fan friends, you’re team just looks awful. The Rams defense will overpower the Jets anemic offense. Greg Zuerlein will have at least one fifty yard field goal. The Jets need a change, somewhere and soon. The Rams probably have a bad hangover from their tie with the division leader. They had the game won, but just didn’t want it. They will be looking for blood today at home against a struggling Jets squad. Eagles @ REDSKINS – Nick Foles is not the answer. Michael Vick is not the problem. He’s never been a quarterback who has excelled at reading the defense, but rather baiting the defense into changing their own scheme, but without a line the defense is free to do what they please and get into the backfield. Even LeSean Mccoy is having big issues this year trying to get out of the backfield while he is being hit more than 30% of the time behind the line. RGIII enjoyed his bye after losing to Cam Newton two weeks ago and let’s see how he and his coaches handled their time off. BUCCANEERS @ Panthers – The Bucs find themselves in the fight for a wild card spot, but will have to hold off the furiously charging Saints. Josh Freeman is leading the third highest scoring offense in the league, who would’ve thunk it? He now leads a Fantasy Football juggernaut. The Panthers will be experiencing a lot of changes in a few months, and the sledding won’t get easier this weekend. Jaguars @ TEXANS – This is a snoozer. MJD just sit back and see how this team misses you and draw up your own contract. Enough said. SAINTS @ Raiders – Drew Brees is leading his team back from dead. They must go to the Black Hole and take it to the Raiders struggling defense. The Saints defense isn’t playing lights-out, but they are coming together at the right time and making plays when they need to. Carson Palmer still isn’t turning the ball over as much as last year, but without Darren McFadden this team lacks a big play running game and now they have to face a Saints team that’s simply on fire. Chargers @ BRONCOS – Don’t expect any revenge, but don’t expect the same comeback because the Broncos will be ahead early. Philip Rivers has found some gold in a healthy Danario Alexander, but Peyton Manning is looking like a possible Comeback Player of the Year and an MVP candidate. If they Chargers want to pull out the upset and make the AFC West a race, Rivers needs to not turn the ball over and the Chargers defense needs to stop Peyton … good luck. Colts @ PATRIOTS – This will be a great game. Luck has shown the poise of a veteran and has won some big games already. Bill Belichick and his team have not been as sound this year and they are not better than the other two top teams in the AFC. Don’t be surprised by a shootout in Foxborough. RAVENS @ Steelers – This would’ve been the game of the week, but without Big Ben it’s the Ravens versus the running back committee of the Steelers. They could definitely do some serious damage against the a weak Ravens run defense. This will still be a good game, just because it’ll be physical and these teams hate one another, but I can’t see Byron Leftwich pulling out a win against the Ravens. Hopefully Big Ben gets better and thank god his injury wasn’t worse. OUCH TOWN POPULATION YOU BRO!! Bears @ 49ERS – This is another game with an injured quarterback not being able to play, but this backup has proven in the past few years he can win some games. Don’t be surprised if the Bears pull out a win here, but I think the Niners at home after that horrible tie will be on their game. These are two of the top defenses in the league and love to hit hard. Expect a similar game to the Bears and Texans last weekend. UPSET ALERT – I am putting the Patriots on Upset Alert because of what Andrew Luck brings to the table. I am also putting the Bears on Upset Alert, because their record is better than the 49ers. 12-2 last week … SOMEBODY STOP ME!!! 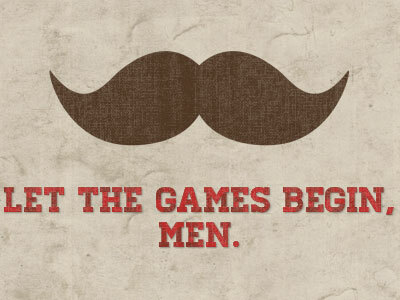 … We are now two weeks into “No Shave November” … Who’s taking part in it?? Our winning percentage is off the charts right now, so why should we stop?? COLTS @ Jaguars – I called the emotional win for the Colts last week. The team has shaved their heads in honor of Chuck Pagano. They are on a roll and Andrew Luck is playing less like a rookie each game. The Jaguars are a team that cannot stop going in the wrong direction. They lack weapons on any side of the ball without MoJo-Drew. The Colts will win this easy as long as they keep their eyes on the prize. GIANTS @ Bengals – The Bengals are mired in a big slump after their offense started on fire and their defense was just awful compared to last year’s surprising squad. Andy Dalton has thrown an interception in each game this year and the Giants are prone to taking the ball away on defense (not as much as that team in Chicago.) The Giants loss to the Steelers was a tough one, because the Steelers patch-work running game was able to go straight down the Giants throat. Eli Manning is starting to slump and Ron Jaworski from ESPN said his arm looks “tired”. The Giants would do well for themselves by winning this away game before their bye because one of those second place teams actually has to win today by definition. Titans @ DOLPHINS – Jake Locker’s healthy after Hasselbeck gets lit up? You’re kidding??? What a shocker! The Titans need Locker to stay healthy to stay relevant in the AFC South because the Colts are getting better weekly and the Titans are light-years ahead of them right now. The Dolphins could have won the game last week against the Colts, but Ryan Tannehill was outdone by his rookie counterpart in Andrew Luck. Reggie Bush is starting to get back to form, which spells trouble for a bad Titans defense. LIONS @ Vikings – The Vikings took it to the Lions in the first meeting this year. That’s when the Vikings were a surprising team, but they’ve since begun their descent back down to Earth. The Lions are starting to click, even with a running game last weekend. Adrian Peterson continued his absolutely inhuman ways last week on a ridiculous run that he nearly scored on. His absurd play cannot compensate for Christian Ponder’s recent plummet. Bills @ PATRIOTS – Too easy. The spread is now at 14, and some are probably tempted to take it … WHY NOT! The Bills have been talking all week about drafting a franchise quarterback, when they just signed their current one to a new deal last year mid-way through the season. Never a smart move. The Patriots are coming off their bye and will look to pad their AFC East lead at home against a bad, BAD Bills defense. Smooth like Keith Stone ! Falcons @ SAINTS – This is a big game AND a big rivalry game. Now the Falcons are definitely the more complete team, but the Saints are facing straight must-wins and they get this one at home. The Falcons have been skating along some thin ice in a lot of their wins this year. Drew Brees didn’t even have a Drew Brees game, but they still smoked the Eagles on Monday Night. I think this is the game the Falcons finally lose. Chargers @ BUCCANEERS – The Chargers are their usual selves just hanging around .500 and keep underachieving. Philip Rivers is not of the Big Ben, Eli Manning, Tom Brady, Peyton, Drew Brees, Aaron Rodgers group where you can make any receiver look like fool’s gold. They have some offensive talent in Mathews, Gates and Floyd, but it hasn’t clicked yet. The Bucs are rolling and have become a Fantasy Football juggernaut. Freeman has been playing much better with weapons like Vincent Jackson and Mike Williams (resurgence), and the “Muscle Hamster” (Doug Martin). I like the Bucs at home. BRONCOS @ Panthers – I was just watching Sunday NFL Countdown and a couple of the guys picked the Panthers and all I could do was shake my head. The Broncos may be the most dangerous team in the AFC right now. The defense is solid and almost just as good as the Texans defense, but I definitely give the edge to Peyton Manning running an offense over Matt Schaub. The Broncos will not lose this game because Peyton is just too hot right now. Raiders @ RAVENS – That banged-up Ravens defense didn’t look to shabby last week only giving up 15 points to the Browns and keeping them out of the end zone. The Raiders are going to be without their top two receivers and will most certainly have to rely on Carson Palmer, who has been much better this year than last. The ball NEEDS to go to Ray Rice more if the Ravens want to stay a legitimate playoff contender. This shouldn’t be a tough game for them though. Jets @ SEAHAWKS – The 12th man is doing its job this year. The Seahawks are 4-0 this year and I don’t see that changing this Sunday. The Jets have been more scrappy than ever since their two most talented players went down to season-ending injuries. Mark Sanchez continues his poor play and probably won’t break out of it against a good Seahawks defense that held Christian Ponder to 63 yards. Rex Ryan salivates over rookie quarterbacks usually, but if they can’t contain Marshawn Lynch, it’ll be a different story. COWBOYS @ Eagles – Andy Reid will not finish out the year, and it’s not necessarily his fault. Michael Vick probably won’t be back next year and it isn’t his fault. Yeah he’s turning the ball over but he has 2 seconds to get rid of the ball, and they’ve basically abandoned the run. There’s too much talent on this Eagles team on both sides of the ball for them to be 3-5, and the same thing can be said for their division rival Cowboys. Tony Romo didn’t turn the ball over last week and they still lost. Their defense played very well last week, but the offense was not opportunistic and missed a lot of chances to win the game. I don’t expect either of these coaches back next year. Rams @ 49ERS – Danny Amendola’s coming back already. It won’t make a difference against this 49ers team. Both of these teams come off their byes to face physical defenses. The Rams have only really been blown out against the Patriots in London and the 49ers have appeared to be on a mission since getting rolled by the New York Giants. Both quarterbacks need some time and their running games if either one wants to win this game. This feels like a coaching chess-match to me, but it’ll go to the more talented team ,but Jeff Fisher has helped turn this Rams franchise around already. TEXANS @ Bears – This is the toss-up of the day. The weather report says it’s going to rain … a lot and all day. That favors defense, as if these defenses needed any help. The Bears defense can’t keep their hands off the ball and themselves out of the endzone. Jay Cutler is winning these games and usually by playing better in the fourth quarter, surprisingly. What does not bode well for the Bears is that the Texans can hold onto the ball very securely and are solid on both sides of the ball and are probably the best AFC team. This could even be a Superbowl preview ladies and gents. STEELERS @ Chiefs – Why bother justifying this when the Chiefs have turned the ball over more than anyone and have never had a lead this season. Steelers seem to only be getting better and without their best defensive players. Watch out AFC! Jamaal Charles and Dwayne Bowe are wasting away in Kansas City’s offense. UPSET ALERT – I am placing the traveling Broncos on Upset Alert, as well as the Falcons because the worst team to face is a desperate team that needs to win the game to stay relevant, and a good one at that. The Lions have a worse record so that means the Vikings get an Upset Alert from me. SURVIVOR PICK – Steelers are a mortal lock. (If Picked Already: Patriots, Ravens, 49ers , and Seahawks). Those are my two cents … cash ’em in! So, we made it to 11 wins again. 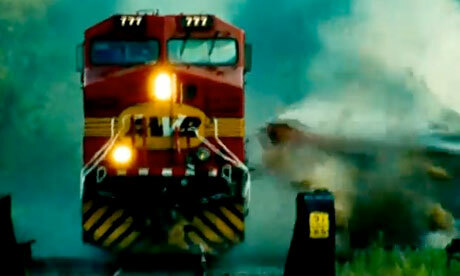 11-3 last week, and like Train 777 we are “Unstoppable” right now! Our prayers go out to those who have been hurt and have been severely affected by Hurricane Sandy. Please donate what you can and do not forget those in need in their time of biggest need! Chiefs @ CHARGERS – The Chiefs are historically bad, never possessing a lead at any point in regulation this season. They want to start Brady Quinn over the man they’ve paid millions of dollars to. The Chargers did their best Chiefs impression last week losing to the Browns 7-6 in ugly weather. The Chargers won’t find their path to victory so slippery this week in an easy win. BRONCOS @ Bengals – Peyton Manning is picking up where he left off two seasons ago. The Broncos look like a top five team this year and definitely top two in the AFC. Their offense and their defense are complete and are on a roll, their defense held the high-powered Saints to a mere fourteen points. The Bengals are coming off their bye and they are at home, but are simply outmatched. Champ Bailey figures to shadow AJ Green, which will be interesting to watch, but it won’t matter unless the Bengals defense can stop Peyton. RAVENS @ Browns – The Ravens are coming off their bye and have hopefully, for their own sake, have fixed their defensive problems. The ball needs to go to Ray Rice more, Flacco can be a good, possibly great quarterback but Ray Rice needs to be the centerpiece, plain and simple. The Browns, pulled out an ugly win last week. They just aren’t good, but Brandon Weeden is coming along, but needs to be quicker since he’s already 28 years old. Keep throwing the ball to Josh Gordon and good things will happen. Cardinals @ PACKERS – The Cardinals can’t keep their quarterback upright and you know Clay Matthews is salivating at this fact. The Packers didn’t look great last week against the lowly Jags, but what’s to expect when your two best receivers are injured. They will roll this week, no worries Cheeseheads. BEARS @ Titans – The Bears squeaked out a win against the underachieving Panthers. They need to be better on offense for four quarters if they want to be real contenders even if their defense is lights out. The Titans are coming off a tough loss to the Colts in Indy. The Titans have relied heavily on Chris Johnson the past few weeks as it appears he may be headed back to his 2K form, but it won’t be easy against this Bears defense. Dolphins @ COLTS– The Colts get to stay at home after beating the Titans in a tight game that went to overtime. The Dolphins are coming off a huge win in New Jersey after shellacking the Jets. The Dolphins’ defense is the biggest story this year, their run defense is solid, but their pass defense is middle of the road. They have found ways to win their games and sit at 4-3. The Colts have looked better with Andrew Luck under center, but their defense just isn’t all that good. This is a tough match-up but I’ll take the grittier team. I am switching my pick and picking the emotional team because Chuck Pagano will be in the stadium to watch the Colts. Panthers @ REDSKINS– RG3 drew comparisons to Cam Newton when he came into the league earlier this year, but he is playing better than Cam did. He doesn’t turn the ball over as much as Cam did and he seems to be in control more; his offense has been shaped to match his skill-set. The Panthers definitely played their best game against the Bears, but could not finish. The ‘Skins are coming off an ugly loss to the Steelers, expect a whole different game from the Shannies. LIONS @ Jaguars – The Lions are fighting their way back to being relevant, but it’s a long road ahead. Stafford seems to be improving as he lit up a good Seahawks secondary last week en route to a big win for the Lions. The Jaguars fought wholeheartedly against the Packers, but with the lack of talent they never really had a chance, much like this week unless Rashad Jennings can simply go ballistic. Bills @ TEXANS – Both teams are coming off their bye, and Mario Williams is going back “home”. It won’t matter. The Texans are going to beat the Bills handily, expect a lot of throws from Mr. Harvard. The biggest question will be, does Mario Williams get a standing ovation or hear the boo birds? Steelers @ GIANTS – Battle of the 2004 NFL Draft! Big Ben has two rings and so does Eli, but that doesn’t matter now. What matters now is who will be the better team Sunday. The Steelers have not been able to keep their starting running backs healthy as Isaac Redman will be starting this Sunday after coming off a good win against the Redskins. The Giants were rolling into halftime against the Cowboys in Dallas, but started to crumble. Then, Captain Eli led his team to victory as the Giants got lucky as Dez Bryant put his hand out of bounds on a nice throw from Tony Romo with less than 20 seconds left in the game. BUCCANEERS @ Raiders – The Bucs rolled their hosts in Minnesota last Thursday. They also just traded away their best defensive player, also an off the field problem, in Aqib Talib. Their offense is starting to click. The Raiders were able to defeat the lowly Chiefs, but the sledding won’t be easier against the Bucs, who are a great run defense. Darren McFadden continues his subpar season, but will need to break out of it soon for this team to compete. Vikings @ SEAHAWKS – The 12th man has had its biggest impact ever this year. Teams can’t go to Seattle and win it appears more than ever this year. The Vikings might be finally coming back down to earth as they were rolled by the Bucs at home last week. The Seahawks talented defense will keep the pressure on a suddenly turnover happy Christian Ponder. Cowboys @ FALCONS – The Falcons return home after rolling the Eagles in Philly, and the Cowboys leave home after a disappointing loss to the Champs. The Cowboys keep playing disappointing football and their schedule doesn’t get easier this week as the Falcons are now sitting a pretty 7-0. Matt Ryan will definitely have his hands full against a good Cowboys defense that frustrated Eli Manning last Sunday, but the Georgia Dome will be too rowdy for the Cowboys. 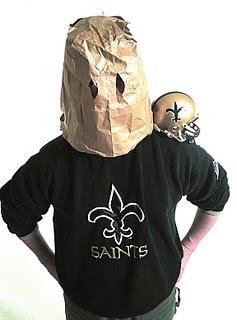 Eagles @ SAINTS– The Saints are abysmal right now. The Eagles are abysmal right now. But, somebody has to win this game. If the Eagles could go back to running the ball with Shady McCoy they could be a top NFC team, but they can’t keep the ball out of the hands of their opponents’ defense. The Saints schedule doesn’t get easier as time goes along, they still have to play the Falcons twice. I am writing them off for the season, but not this game. UPSET ALERT – I am putting the Falcons on Upset Alert, because of how the Cowboys play the best teams tough and have been known for beating undefeated teams. Also, I put the Vikings on Upset Alert going into Seattle is never easy. Dolphins because of Chuck Pagano’s presence. SURVIVOR PICK – This week I go with the Chargers, simply because of how bad the Chiefs are. (If Picked already: Lions, Packers and Texans.) From here on out, picking against the Chiefs and the Jaguars simply is a good idea. 11-2! Many keep saying pick with the spread, by why I’m not trying to help ya’ll gamble. I’m trying to do what the experts do, but at least I know people are checking the posts! Don’t forget to check out the Lessons Learned from Week 7 after reading my picks. BUCCANEERS @ Vikings – Christian Ponder simply looked awful against the Cardinals, Adrian Peterson did not. But this Bucs’ defense is a top 10 run defense. I never expect anyone to hold Peterson down, but it will put more pressure on Ponder, which as last week showed he’s merely a game manager right now. These Bucs are pissed that they lost a heart-breaker to the Saints last week. This offense is for real and if the defense could stay healthy you’d be looking at possibly the second best team in the NFC South. I expect the Bucs to come out with a purpose. http://www.youtube.com/watch?v=yisxlE4p3BA – If you haven’t seen Joe Morgan’s Touchdown. Panthers @ BEARS – The Panthers season has been ugly and will continue to get ugly. Cam Newton has pouted his way through press conferences and most of the season. The GM has been fired and the coach is definitely next. They keep losing focal points of their roster to the IR: Beason, Gamble and Kalil. The Bears offense looked average at best on Monday Night, but the defense has looked masterful the whole season the turnovers and the shutdowns of teams’ number one receivers, now including Megatron. CHARGERS @ Browns – The Chargers find themselves coming off a bye and off that 24 point blown lead debacle. Unfortunately, that means they’ve had two weeks to let it sink in and watch lots of tape. These things leave a bad taste on in your mouth, but Norv shouldn’t let off the gas now in games and I expect to see that weekend against the lowly Browns, who couldn’t get much against a bad Colts defense. Brandon Weeden is progressing especially with the help of Trent Richardson and Josh Gordon, but it won’t help coach Pat Shurmur. Seahawks @ LIONS – Seahawks played their letdown game last week and came out flat, especially their wide receivers. Their defense is still living up to its hype, but the offense is just lacking solid play all game long. Russell Wilson dials up one big play usually each game, but you can’t win games like that forever. The Lions again looked flat against a solid Bears defense. Stafford will probably be running for his life a lot, but with two young wide-outs now playing we should expect a lot of throws across the middle, with the focus turned to Calvin Johson. COLTS @ Titans- Luck was a selfish fantasy football player last week as he ran the Colts’ only two touchdowns in himself. This team has not looked much like a playoff contender, except for the team that appeared in the Packers’ game. Luck will have plenty of chances to make the playoffs in what is shaping up to be an illustrious career. Chris Johnson has been going H.A.M the past few weeks and all in Tennesseee are hoping the roll continues.There is no reason to believe it shouldn’t continue in this game against a bad Colts defense, but the Titans are now 2-1 under Matt Hasselbeck. Does this spell Quarterback controversy? PATRIOTS @ Rams – I dislike the London game, almost as much as I despise Thursday night games. It’s unnecessary travel for players who shouldn’t have to and it’s a marketing ploy by the league. If they wanted to play a game in London, don’t you think they would have played soccer? 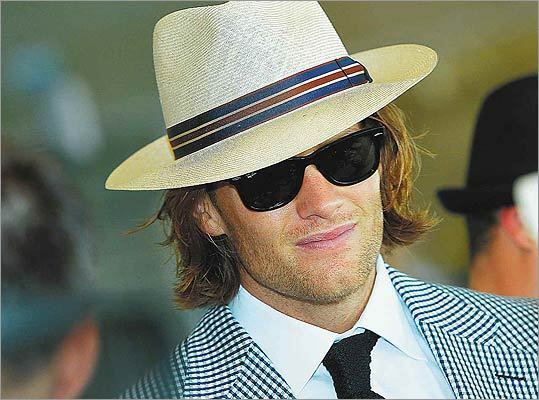 Anyway, the Pats looked beatable again last week against the Jets. Bill’s got to dial something up this week against a feisty Rams team, who lack play-makers on offense right now as teams stack the box against S-Jax and Daryl Richardson. Danny Amendola is making surprise returns to practice, and they (mostly Sam Bradford) need his slot capabilities. Dolphins @ JETS – The Dolphins are coming off their bye week, in which they broke a tie and now find themselves in second place in the AFC East. Last game against the Jets, came down to one of the ugliest overtime games ever, in which the Jets won by a field goal. The Jets come off a very gritty overtime loss to the Patriots and they seem to be playing above their talent level. No Santonio Holmes and no Darrell Revis, but this team has been more than in the games that those two guys haven’t played. Expect no less from the Jets on Sunday, but Sanchez will look less than average again against a very underrated Dolphins defense. Philly for a few years, and usually those two feed into great performances by individual players. This is my toss-up game for the week. Redskins @ STEELERS – RG3 looked masterful against the Giants, but Eli Manning did what he does best. The Redskins defense is sub-par after injuries have taken its toll, and now it appears that London Fletcher’s consecutive games streak is in jeopardy. He isn’t as good as he used to be, but he is still a foundation in that defense. RG3 could really use Fred Davis and Pierre Garcon, but he will be without them possibly for the rest of the season as Fred Davis was just lost and Garcon hasn’t been there since the first game. The Steelers came out on top of a hard fought game on Sunday night against the Bengals. Big Ben is leading this team that has only had a running game in this past game. Big Ben will keep his swag this weekend against a bad Redskins defense. RAIDERS @ Chiefs – The Raiders pulled off a nice comeback against a bad Jaguars team, but a win is a win. Carson Palmer has been much safer with the ball this season, but Darren McFadden hasn’t been putting up those same numbers as last year. The Chiefs are just straight awful. They have turned to Brady Quinn and they have said for good, “so that he won’t be looking over his shoulder.” Dwayne Bowe is just shaking his head. The Chiefs have talent, but turn the ball over a lot and their defense can’t stay on the field that long and expect to keep teams out of the end zone. It’s Come to This … Now He’s Done!!! Saints @ BRONCOS – The Saints are coming back, mark it down. They run into a tough test this Sunday against a 3-3 Broncos team that is really better than its records indicates. The three losses have been near comebacks in which they put themselves into a hole early. The Saints are scoring points at will. 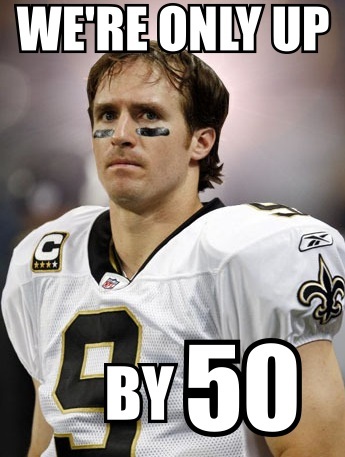 Drew Brees had over three-hundred yards and four touchdowns at halftime last week, not joking. Peyton is leading this talented offense the same way he did in Indy, the difference is his defense is ten times more talented in Mile High than it ever was in Indy. This is a home game for the Broncos, which spells trouble for Drew Brees, who doesn’t play very well in cold outside games. 49ERS @ Cardinals – America, say hello to your #1 Pretenders. The Arizona Cardinals are crumbling before our very eyes, blame the QB injuries and the RB injuries, but it wouldn’t have mattered. 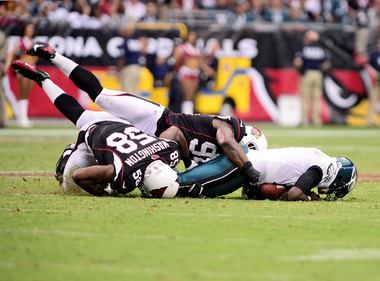 They have a solid defense, and Larry Fitzgerald, but that’s all they’ve had going for them. Even when they were winning game their greatest weakness was on display big time, their offensive line. The 49ers will expose this weakness with great magnitude because this teams defense is always hungry. The 49ers are out to prove the NFC West is still theirs and theirs only. This game is for a tie atop the division, but it won’t happen. UPSET ALERT – I am putting the Falcons on Upset Alert as they have walked pretty thin ice while riding a 6-0 record, they better not come out flat against the Eagles. I have also put the Vikings on Upset Alert against the pretty high-powered Bucs. SURVIVOR PICK – Simple. The Green Bay Packers. (If picked already: Patriots or Chargers). Ladies and Gentleman … Welcome back to the Gun Show!! So after another putrid week we take a look into Week 4, I won’t tell you my last record because I’m not proud of it. 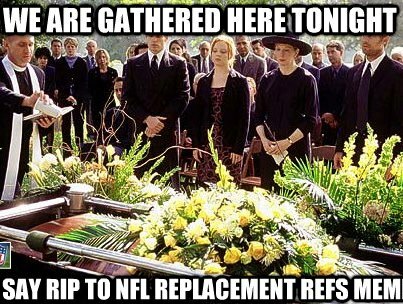 Rather I’ll speak of the referees coming back. Thank god because that Monday night game was atrocious and how they handled the Sunday night game was embarrassing. 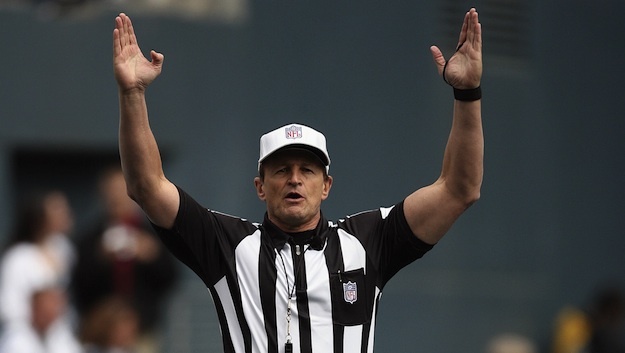 Welcome back Carrey, Hochuli, Green and all the other real Zebras! But I will miss the Referee Memes, I was addicted, but now I am cleansed. I am not saying these guys are perfect, but they are better. They get calls wrong, but it doesn’t take 15 minutes for them to decide and they know the rules and are not afraid of the players. These guys are the real deal! Browns @ RAVENS – I respect Torrey Smith more than anyone in the world right now as of Sunday. His brother passed away and less than twenty-four hours later he was on the field in Baltimore ripping apart the Patriots Secondary and was forced to answer constant questions about his brother directly after the game. Joe Flacco put together another very nice game and Ray Ray continued to play well despite this new pass first offense. Ravens are at home on a short week against the irrelevant Browns. Trent Richardson has looked pretty good so far as a rookie, but Weeden is meh and no Joe Haden means fantasy dream matchup for Flacco. Panthers @ FALCONS – Scam Newton has come out and said that the Giants didn’t beat the Panthers, they beat themselves. Listen, Mr. Newton (sighs) … you were embarrassed on NFL Network by Eli Manning and his backups, enough said. What a joke … and that is why when he goes to Atlanta this week, him and his team will yet again get rolled. Matt Ryan is looking like a top 5 quarterback and he has possibly the best 1-2-3 combo in the NFL with Rowdy Roddy, Julio (who likes oddly like the Predator, less now with no dreadlocks ) and the ageless Tony Gonzalez. Also be aware of Jacquizz Rodgers, the next Darren Sproles. PATRIOTS @ Bills – Tom Brady and Bill Belchick would have been the embarrassment of the replacement referees until they did their work on the Packers game. Welker came alive when Edelman left the game with an injury, and it appears they stopped punishing him, for now. The Bills running game has looked great, no matter who has been in there, but now both running backs might be headed for an unexpected Week 4 return, which is good and bad. Who gets the majority of the carries? Not a bad problem to have! These Pats are angry after Belichick has been fined and couldn’t get a review on that awfully close kick. Vikings @ LIONS – If not, for the Cardinals, the Vikings might be the biggest surprise at 2-1 in the NFL. They took down the mighty 49ers at home and didn’t get pushed to the end. They had them right where they wanted them the whole game. The Lions now have a legitimate running back it appears. Calvin Johnson is 3 games down 13 to go to beat the Madden Curse. Stafford might have avoided an injury that could cost him a game. Jim Schwartz allowed Shaun Hill to lose the game on 4th and 1 in Overtime last week, so they’re in need of a win. I see the Lions winning this and returning to last year’s form. CHARGERS @ Chiefs – The Chargers have quietly been good. Rivers is playing alright and the Defense looks good. If Ryan Mathews stays healthy they could be a much better team. The Chiefs pulled off a ridiculous comeback win in Saint Louis as Jamaal Charles put up Madden numbers against a horrific Saints defense. Arrowhead is a very tough place to win a game and usually this is a very hard-fought game. I don’t see the Chiefs repeating their second half success from last week simply because they have been embarrassed by the Falcons and the Bills. Seahawks @ RAMS – This is the definition of a letdown game. The Seahawks were just gift-wrapped a game by the replacement referees who were promptly returned to their shelves where they belong. The Seahawks defense has looked great but their offense is simply meh right now. The Rams have been in 2/3 games they have played, the only one they never seemed to be part of was in Soldier Field against the Bears, an outdoors game. But now they go back home to face the Seahawks. Seahawks are pretty high on themselves I’m sure right now. 49ERS @ Jets – If Revis was playing in this game I’d think about taking the Jets, but without him they’re a completely different team. Trying out Joe McKnight at corneback??? (Slaps hands against face) R-E-A-L-L-Y? The Niners are coming off a bad loss in Minnesota and yes they’re are traveling yet again, but last year they did well in 1 o’clock games on the East Coast. They could lose but simply because of the travel factor, but that defense is just something else and will probably make Sanchez look like a backup QB. I am taking the angry 49ers in this game. Titans @ TEXANS– Is there a more complete team in the NFL right now? The answer is no. They look good running the ball, passing, special teams, and especially on defense. They almost let the Broncos back in the game when they fell asleep, but so did the Falcons. They sit at 3-0 and the Titans are coming off a pretty luck win where Jake Locker looked pretty solid. The Texans defense will feast on the pathetic likes of Chris Johnson who is still averaging 1.4 YPC and has less total rushing yards than Jake Locker. The Texans average 14.0 Points Allowed, enough said. Raiders @ BRONCOS – The Raiders pulled off a comeback of their own against the Steelers, whose defense did not look good at all last Sunday. The Raiders also benefited from a bad penalty call that moved them up fifteen yards enabling them to kick the game-winning field goal. The Broncos keep putting themselves in holes and almost digging themselves completely out. I don’t expect a hole this Sunday. No Heyward-Bey after he got demolished by Ryan Mundy means less of a vertical threat for the Broncos to watch out for. No Joe Mays because of his vicious helmet to helmet hit on Matt Schaub, which helps Darren McFadden. Dolphins @ CARDINALS – Could the Cardinals get a better game to continue their roll and keep their confidence? The only issue they might suffer here is Darnell Dockett vs. Reggie Bush, because Darnell Dockett is doubtful and probably won’t suit up, but Reggie Bush will be. Tannehill is showing signs of readiness, but his weapons are seriously lacking. The Cardinals defense looks good and the Dolphins doesn’t look that bad either. Kevin Kolb is simply not turning the ball over, and last week did exactly what he should be doing, throwing the ball at Larry Fitzgerald. The home crowd was loud last week against the Eagles, and they shouldn’t be any quieter for a team looking to start 4-0. BENGALS @ Jaguars – The Bengals offense has looked surprisingly good. They’re defense hasn’t looked great, but hey if you score more points that’s all that matters. AJ Green is filthy and could be better than Julio Jones this year after the way he torched the Redskins secondary last weekend. Maurice Jones-Drew doesn’t look like he missed training camp in the least bit, feasting on the Colts as he usually does. The Bengals will roll through these Jags and enjoy the nice Florida weather. Saints @ PACKERS – Pissed off Packers vs. the Beat-up, beat-down, no hope Saints. 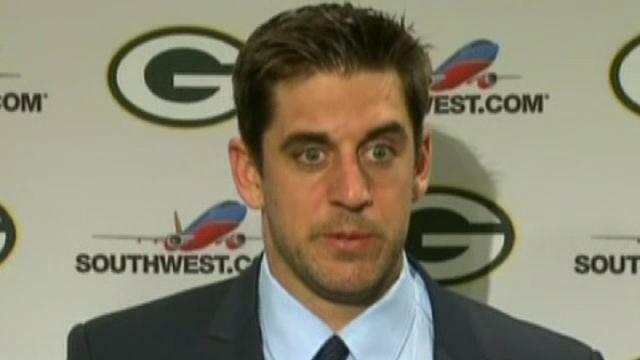 Aaron Rodgers is licking his chops with how bad this Saints’ defense is. This game is also in Lambeau, where the Packers typically don’t lose games. The Saints have looked like a completely different team without Sean Payton and have become a joke to the rest of the NFL I’m sure after Roger Goodell made an example out of them during the offseason. Aaron Kromer, the interim to the interim, is clearly in over his head and should just let Drew Brees call all the plays, maybe even on defense. Has anyone noticed how bad Steve Spagnuolo has been since he left the Giants by the way. Let’s not forget how Brees plays outside and it’s always cold in Lambeau. REDSKINS @ Buccaneers – RG3 continues to play very very well especially for a rookie. He fought them back into a game in which the Bengals were torching the Redskins defense, which does not look the same without Orakpo and Adam Carriker. The Buccaneers suffered another ugly loss, this team by the hands of the Cowboys. Josh Freeman was an abysmal 10/28 last game and hopes to improve on this. Both rookie running backs have looked strong in their first three games. The Bucs are at home but I like RG3 to carry his team to victory in this one as Freeman struggled to find his accuracy. GIANTS @ Eagles – The Eagles offensive line showed its real worth last game as Michael Vick was torn to shreds by the Arizona Cardinals front 4, which is not as talented as the Giants’. The Giants embarrassed the Panthers last Thursday and have had a lot of time to rest, but will still be without star receiver Hakeem Nicks (damn my fantasy team). Ramses Barden stepped up nicely in the absence of Domenic Hixon and Nicks, and will need to build off that game if the Giants have a shot. Andre Brown and Ahmad Bradshaw will be splitting carried out of the backfield. Michael Vick must simply not turn the ball over if he wants to control this game and it should be easier with his best receiver, Jeremy Maclin returning to the lineup. If Shady McCoy goes off it’ll be a W for the Eagles, but if the turnover woes continue, expect Eli Manning to lead his Giants to victory. Bears @ COWBOYS – Both teams played ugly offensive games last week. Don’t expect that to continue for Tony Romo as he takes his Cowboys back to the Big Stadium. His offensive line is still playing like a D-3 college team, but luckily for him the opponents’ line isn’t any better. Both teams should be playoff contenders, but have played pretty bipolar football so far. Cutler keeps turning the ball over and Romo can’t seem to score with a high-powered offense that Jerry Jones has presented him with. This should be a good game for MNF though.